Welcome to our website, here you will find information about the history of the department, upcoming events and news. 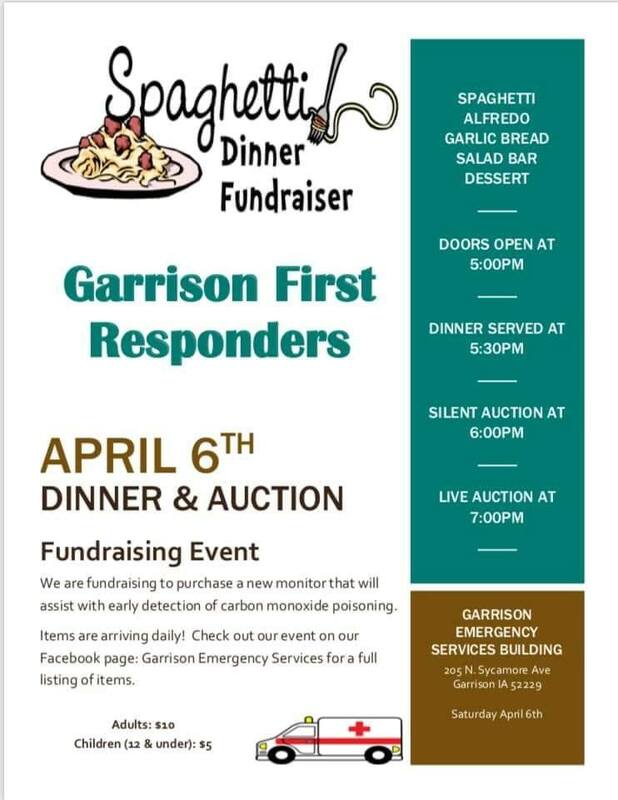 The Garrison Fire Department has been supporting Garrison and the surrounding community since 1936. We offer FIre and EMS services along with strong support by the Ladies Auxiliary. All provide important services and support to the department and the community. We have had a strong commitment and history with the members that have served and the current members on the roster. GFD is a member of the Iowa Firefighters Association and has proudly supported the IFA and state of Iowa with two members serving the on the IFA board. GFD has also helped co-host the IFA Convention in 2003 and 2013. The fire department and community has shown its resiliancy after surving a 2011 derecho event that destroyed the fire station and damaged the City of Garrison and the surrounding areas with 130mph winds. The GFD members and community came together to rebuild the station and the area. One of the departments biggest fundraisers is Garrisons Haunted held the last two weekends in October, this event has been held for the past 20 years and still going strong. We look forward to our future and supporting the community. Thank you for visiting our page! Look for this site to keep expanding as we work on the development of it.